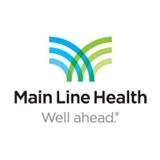 Main Line Health Center (Media) - Book Appointment Online! Very impressed with Dr. Ewing and the professionalism and efficiency of her staff. Since it was my first visit, I was given all the new patient paperwork, and before I finished I was being taken into the office. Dr. Ewing was very nice and caring. She gave me the opportunity to share my health history and answer my concerns. I highly recommend Dr. Ewing and her practice. Due to an emergency, they were running late, however, I was frequently notified about when the doctor would be in. Dr.. Mankin is great. He took time to explain what treatment plans are available and assured me would work to get my problem under control. Excellent visit and covered all problems and answers for questions.